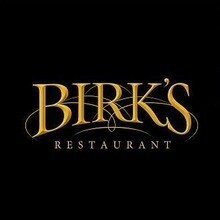 Birk's is Silicon Valley's premier steak and chops house since 1989. They were voted "Best American Restaurant" by San Jose Mercury News in 2003. Designed by Pat Kuleto, Birk's concept is based on the traditional old city grill with a contemporary twist. 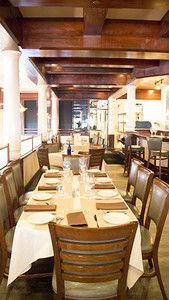 The menu consists of prime steaks, chops, fresh fish and raw seafood with a daily lunch and dinner special list. The lively bar is stocked with a complete array of beverages including a select wine list, micro-brew beers, single malt scotches, espressos and many non-alcoholic beverages. The enthusiastic culture created at Birk's enables the servers and their assistants to provide impeccable service for its clients. The beverage program at Birk's supports the cuisine and features an impressive array of single-malt scotch, American wines, top shelf liquors and microbrews on tap. The weekend has officially arrived. Birks Weekend Americana Menu. 3/29/19. All Americana entrees served with choice of soup or salad and a mini dessert.